b r o o k l y n t w e e d: Enjoy Your Long Weekend! Just popping in to say hi and wish you a nice long weekend. I'm reserving Monday for knitting. Only. Rowan Wool CottonAnd a little Friday Fiber to aid in my well-wishing. See you next week! oh these colours are just up my street. love them. and i am happy to know that someone else will knit the whole monday through even though it is spring. wish i could be knitting in new york. and thanks a lot for your commentary on my sweater at zimmermaniacs. Great colours! Love the combo. I hope you have a good long weekend too. Hello, my wool friends! Sure is good to see you once again. 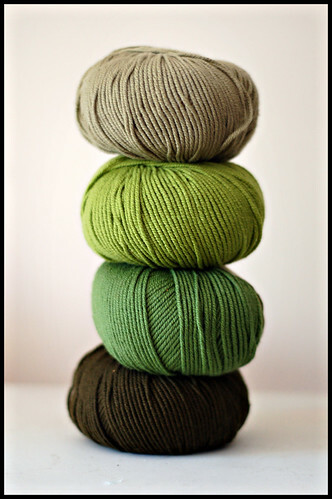 very soothing, love the green, but what yarn is it? Oooh. Pretttttty. I have visions of the magic you'll be working with this yarn. Happy weekend, happy Monday knitting! Monday for knitting sounds fantastic. Count me in. i third that knit holiday! although i may try to sneak some in on sat and sun ;-) Between barbeque trips... ha! Those colors are just lovely together. 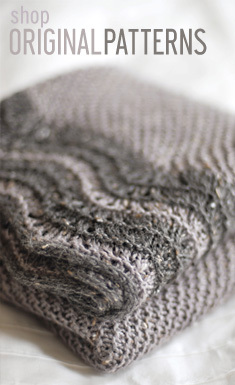 I haven't worked with Rowan Wool Cotton yet, but I definitely want to. It seems like such a nice yarn. I hope to get a lot of knitting done this weekend, too. lovely yarn... I've not tried the wool cotton yet, but it's on my list. Happy weekend to you too! No three day weekend here, though. Lucky you. Ooh, love the wool cotton. 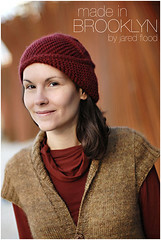 I love how it knits up and it has wonderful stitch definition. Great yarn. Great pics. Great skill. Love visiting your blog just to experience all that you do...so well. Zen. You just can't go wrong w/ Rowan Wool Cotton. Have a great fiber-filled weekend.